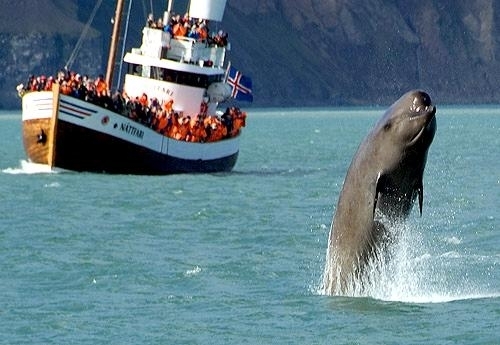 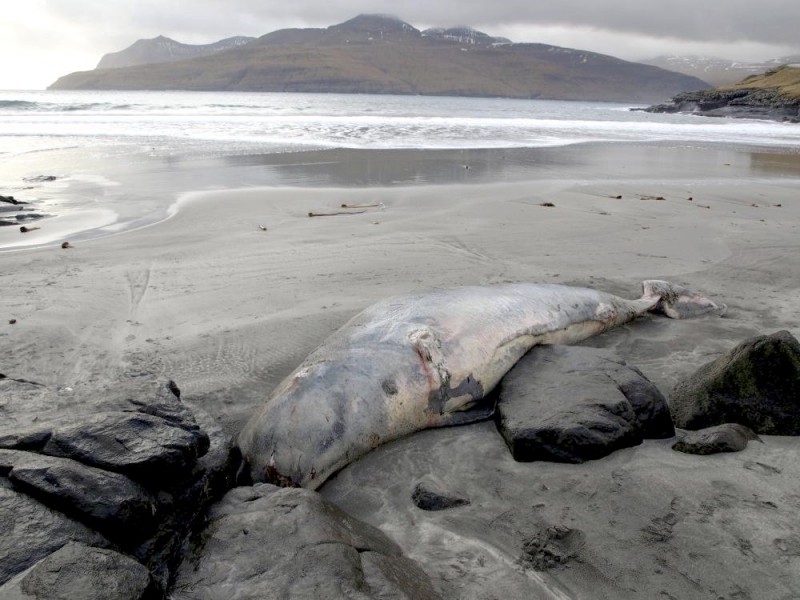 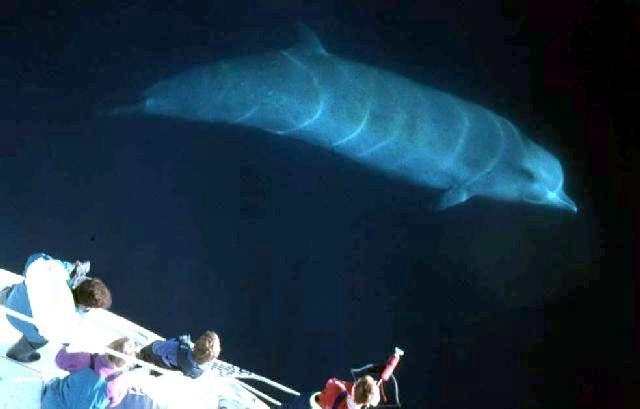 Northern Bottlenose Whales reach up to 9.8 meters in length, averaging 6.7-7.6 meters between 7-14 years and weigh between 5,800-7,500 kilograms. 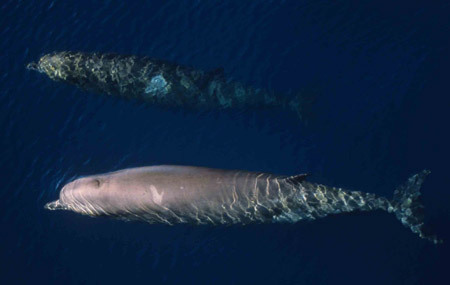 Males are about 25% larger than females. 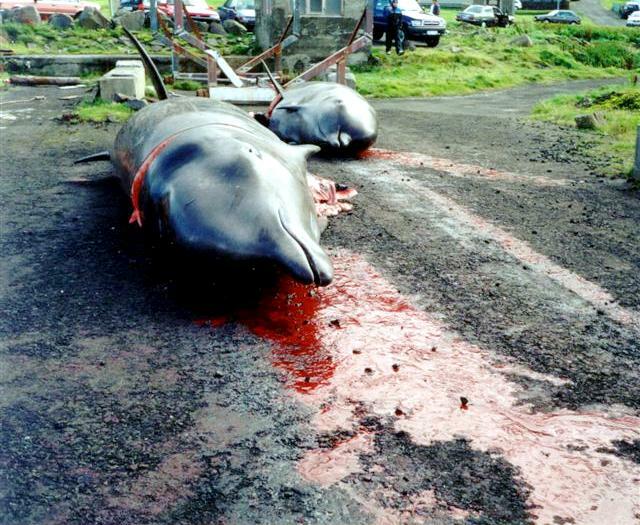 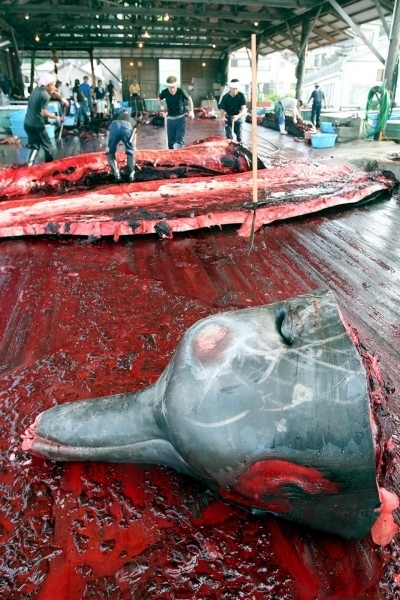 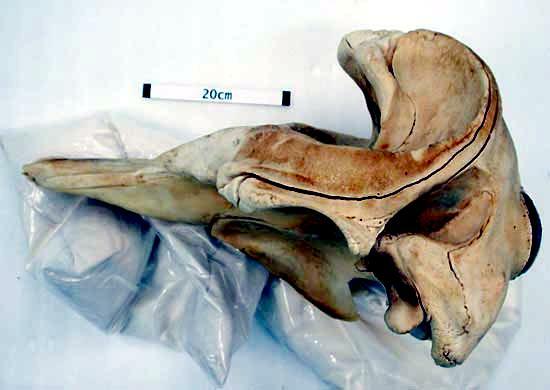 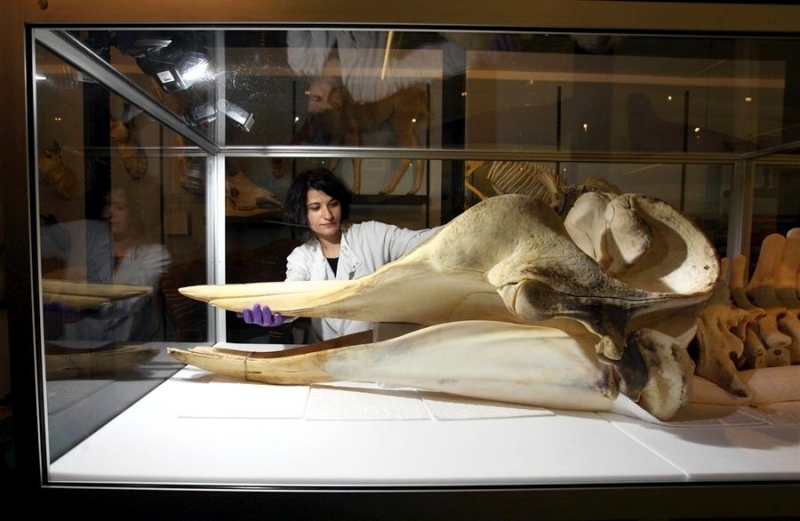 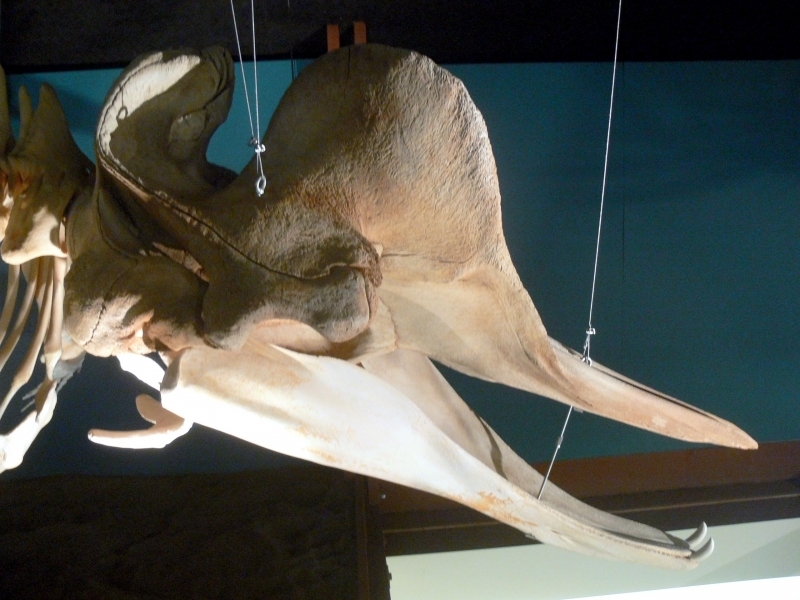 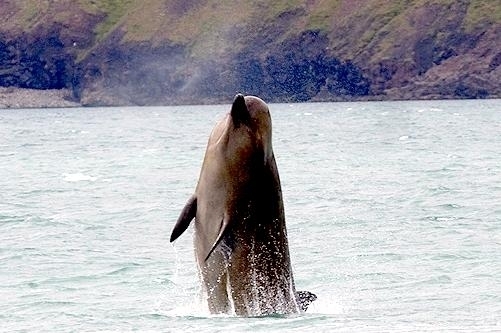 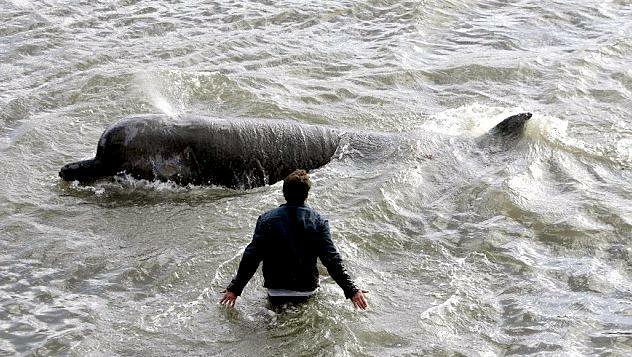 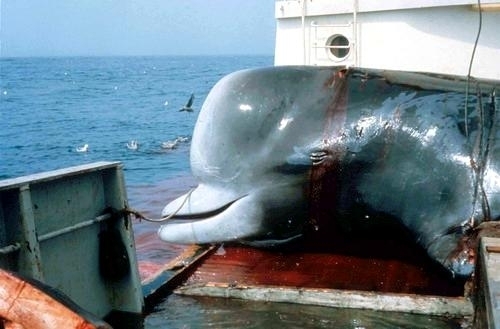 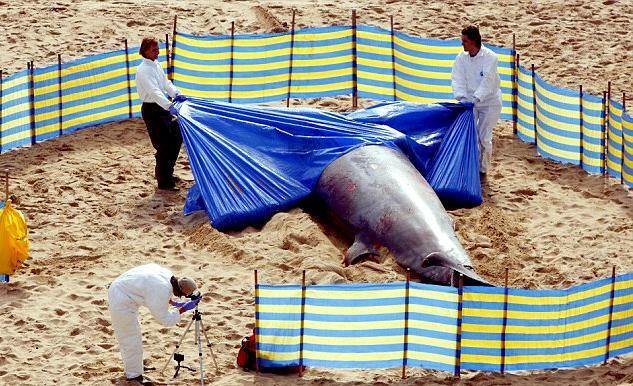 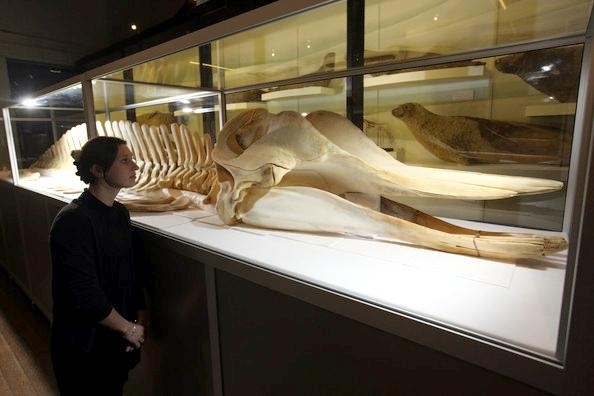 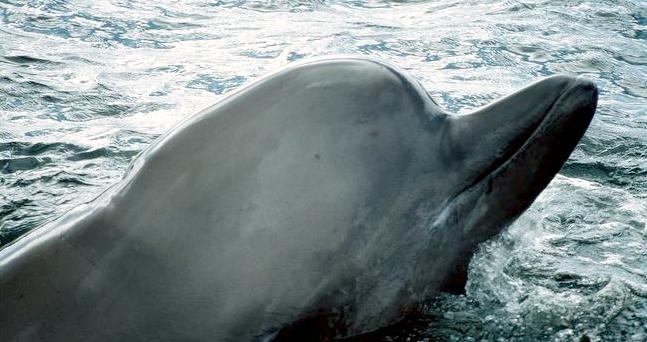 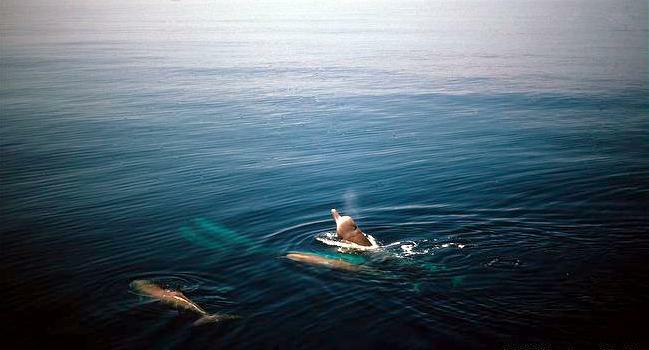 Northern Bottlenose Whales live up to 37 years. 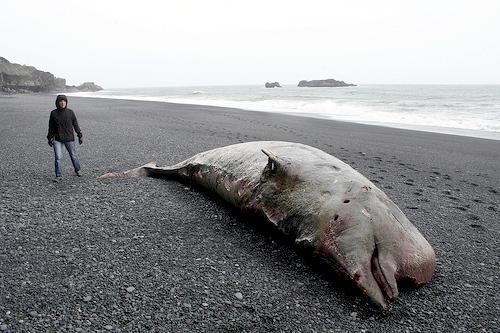 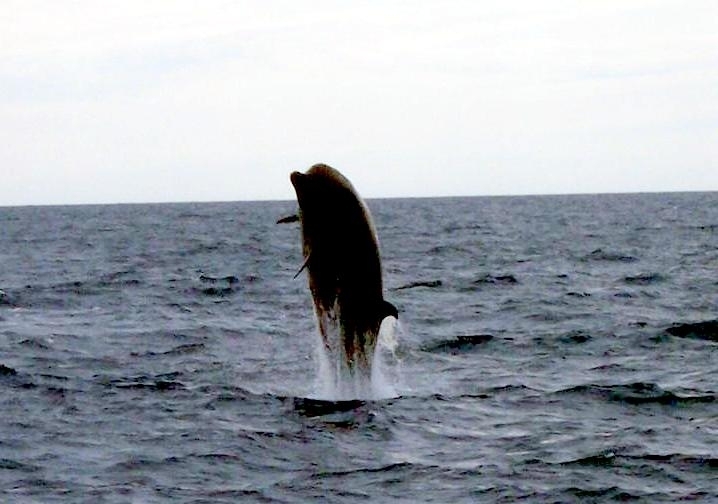 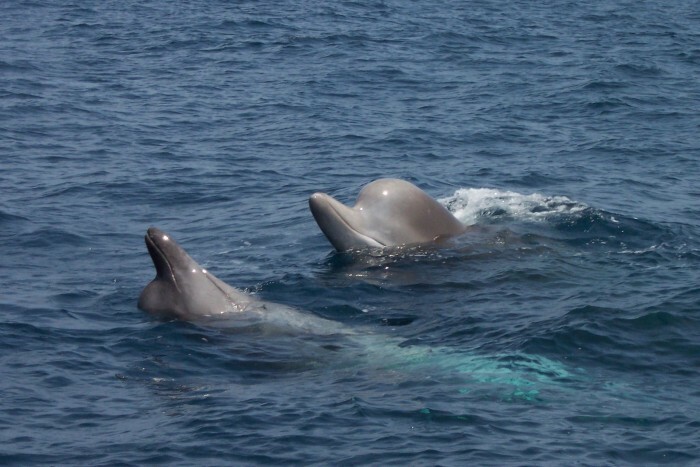 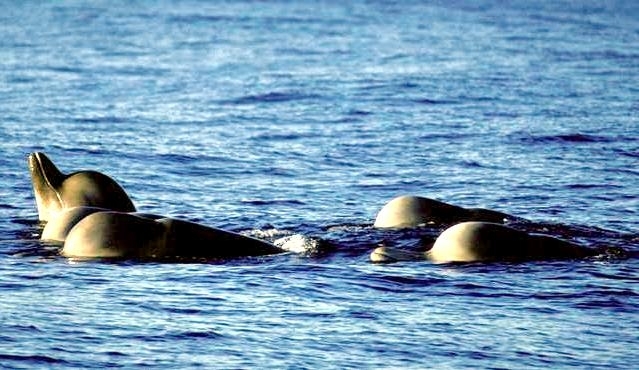 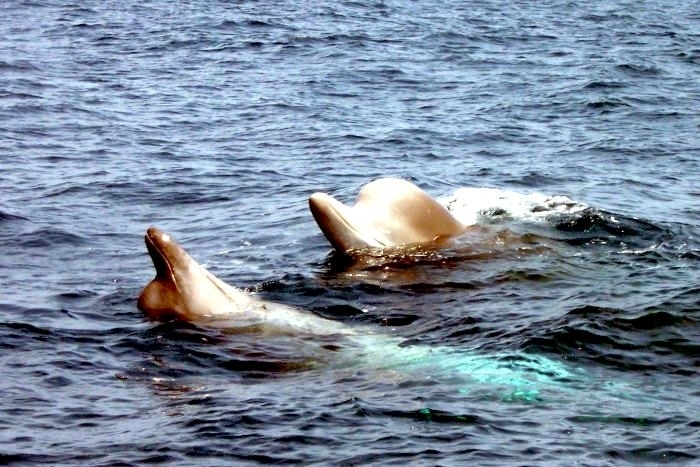 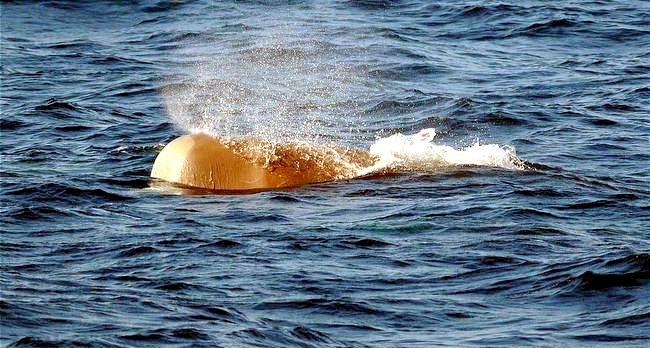 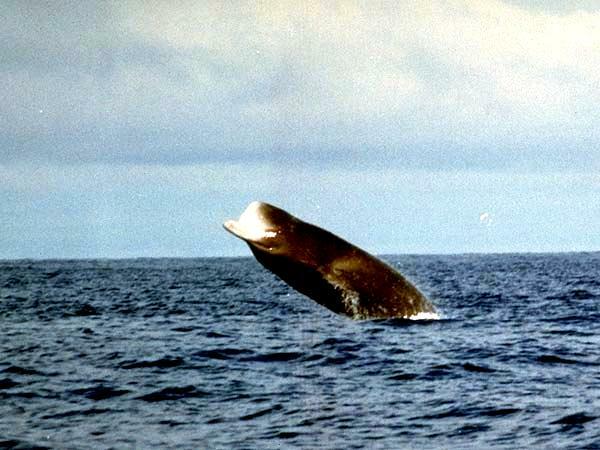 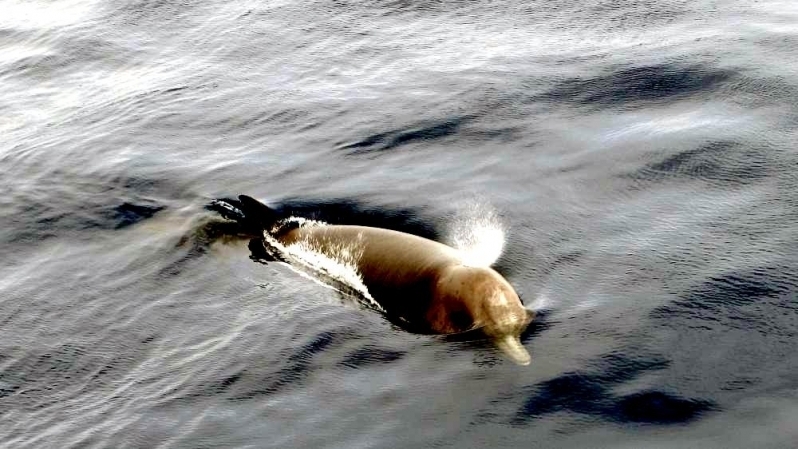 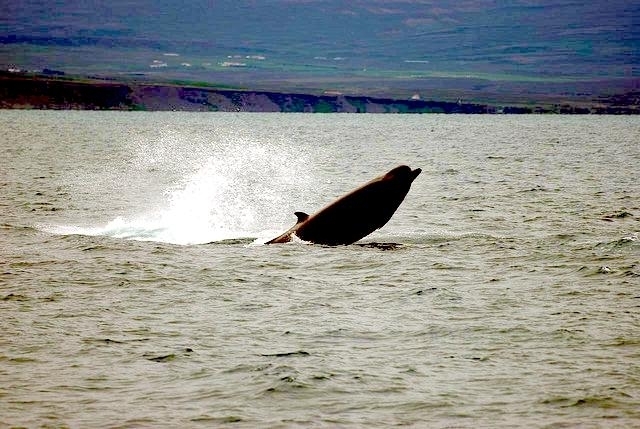 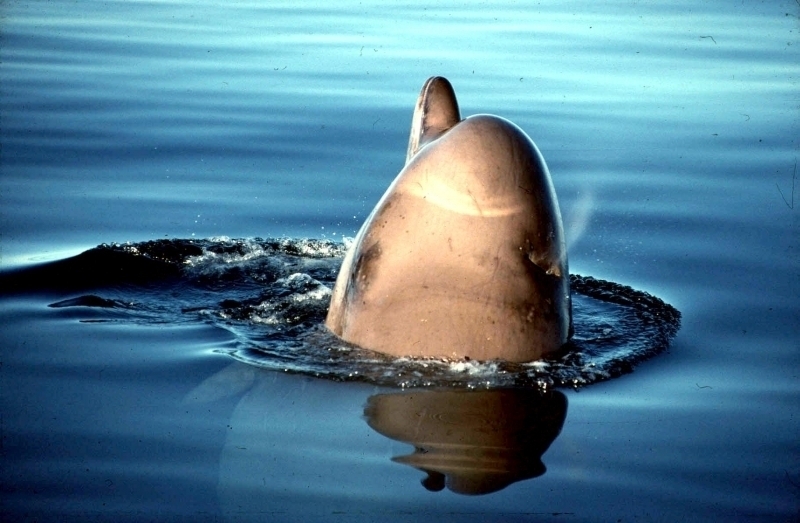 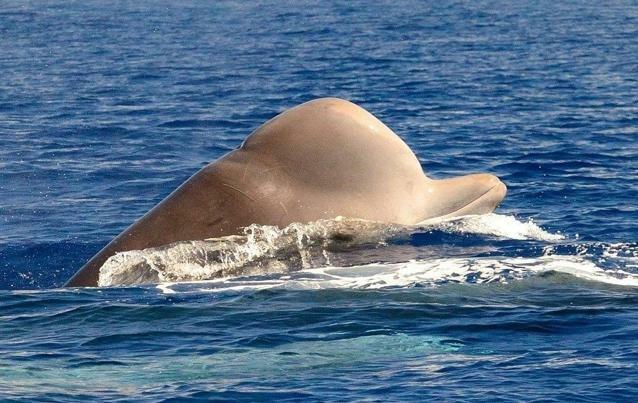 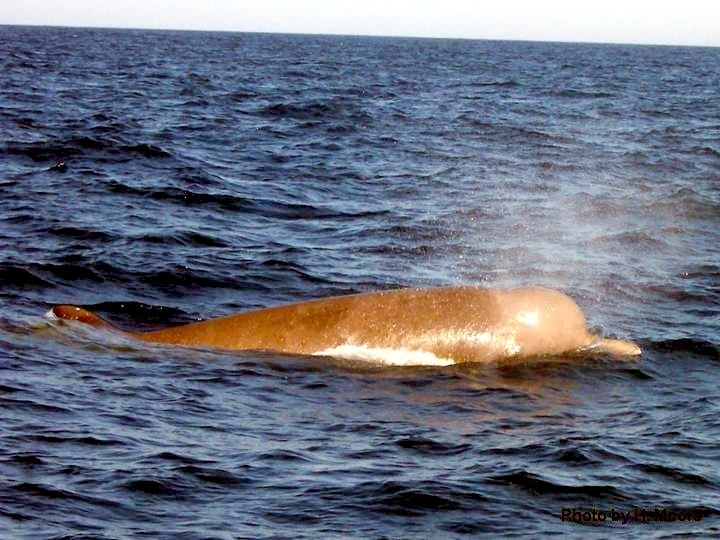 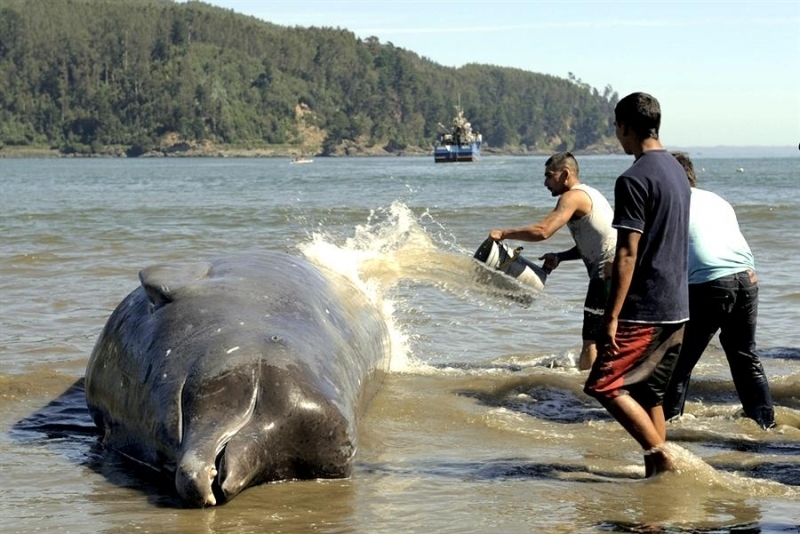 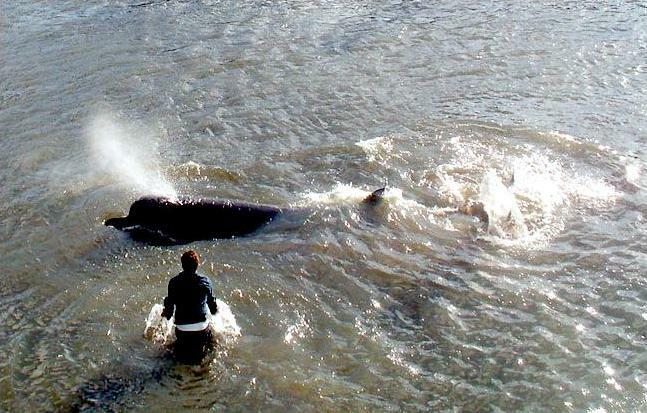 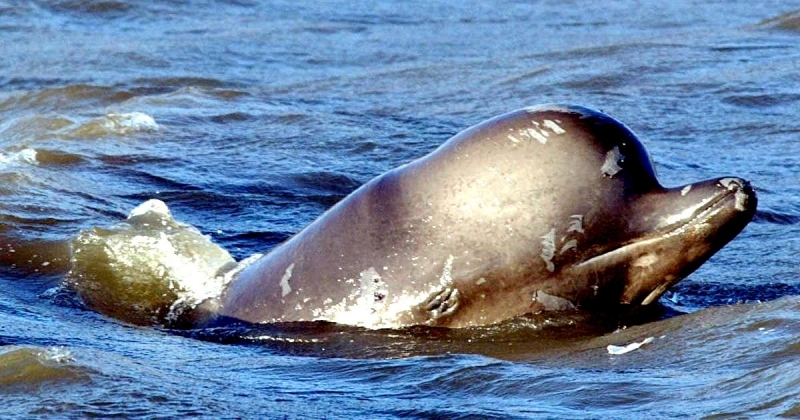 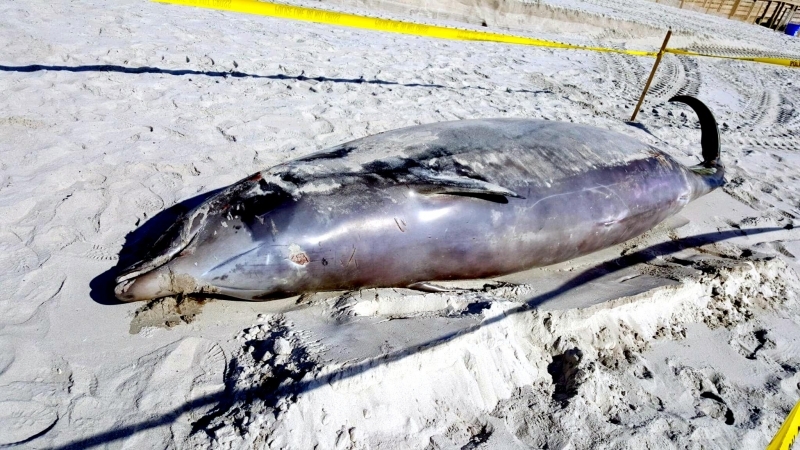 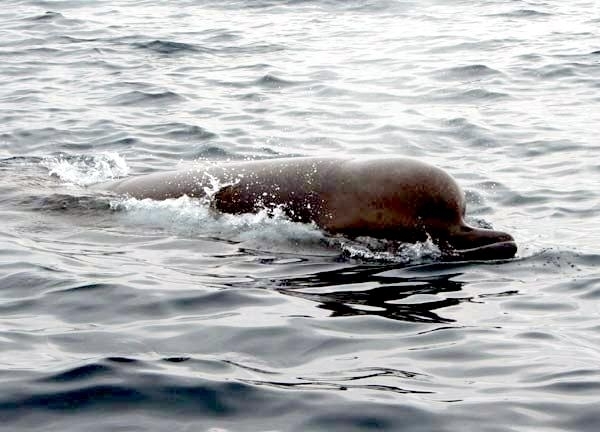 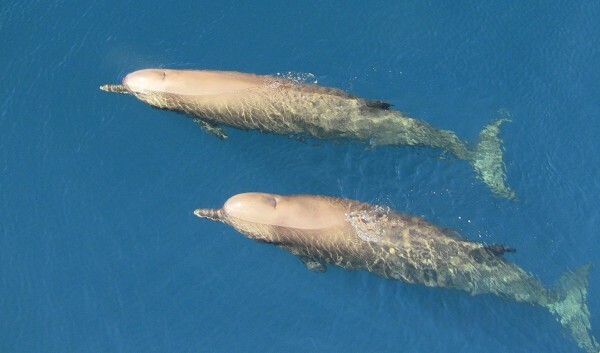 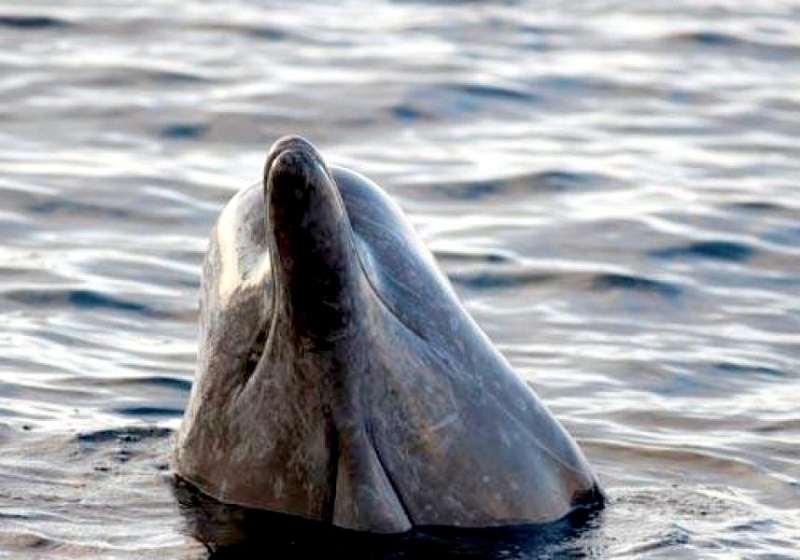 These whales range in color from green-brown to gray with lighter gray-white markings on the body and lighter coloring on the lower part of the flanks and ventral surface. They have a long, stout body and both sexes have large prominent melons that fade to yellow-white in older males. 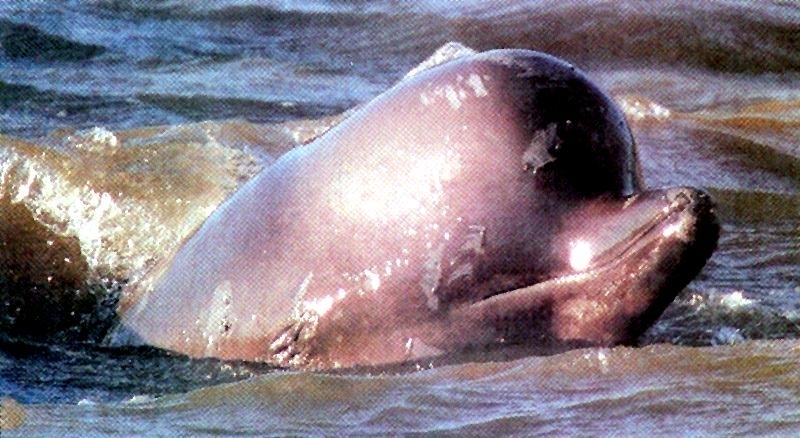 They have a short bottle-shaped beak with small short teeth located at the tip of the lower jaw in males. 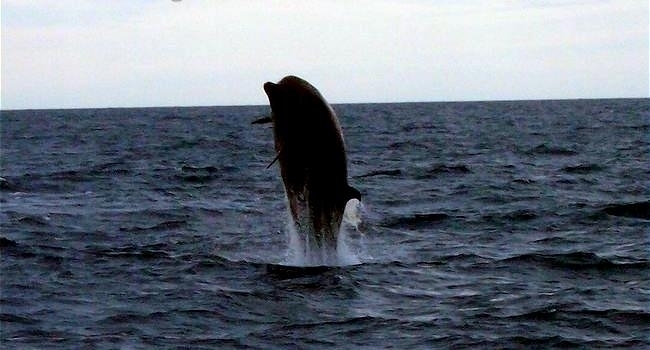 They have a curved dorsal fin 30-38 centimeters in height, small flippers and a notch-less tail fluke. 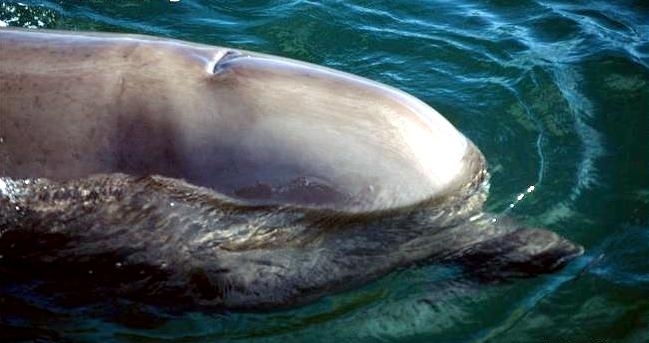 The dentition of the species is highly reduced, with males possessing one or occasionally 2 pairs of short teeth in the tip of the lower jaw. 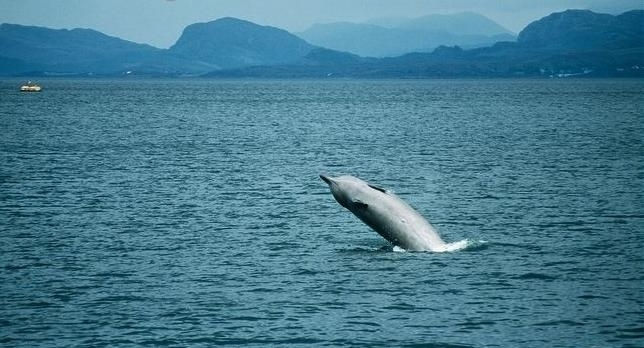 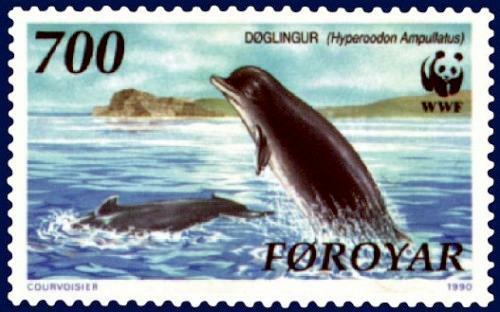 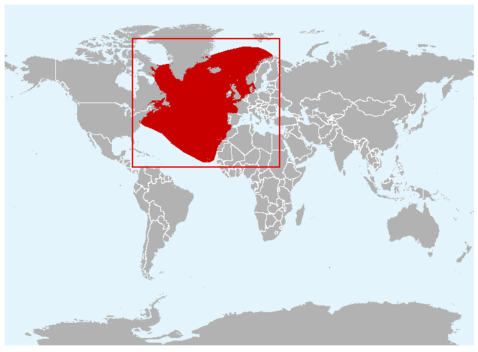 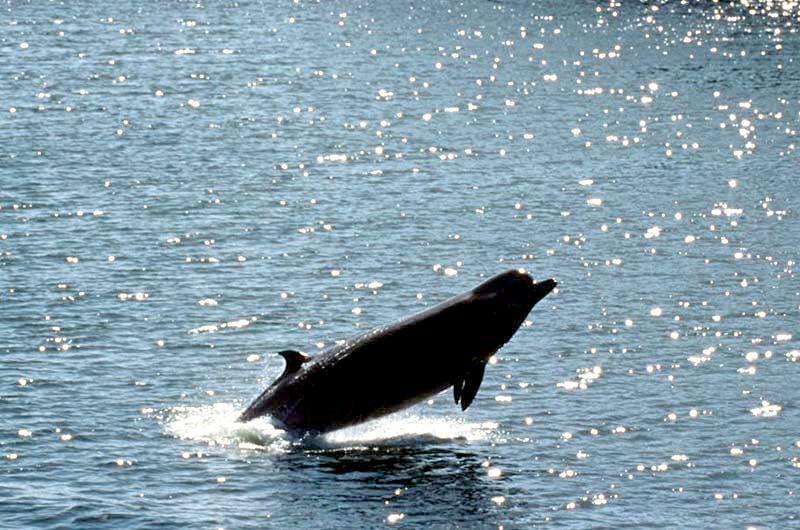 Northern Bottlenose Whales can be found from the polar ice of the North Atlantic to Long Island Sound and to the Cape Verde Islands. 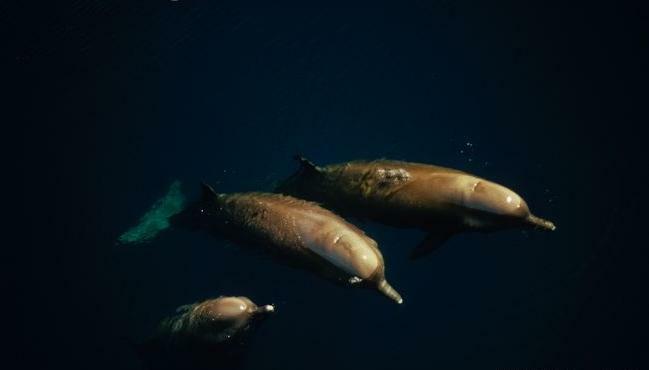 They are commonly found in deep water over 1,000 meters. 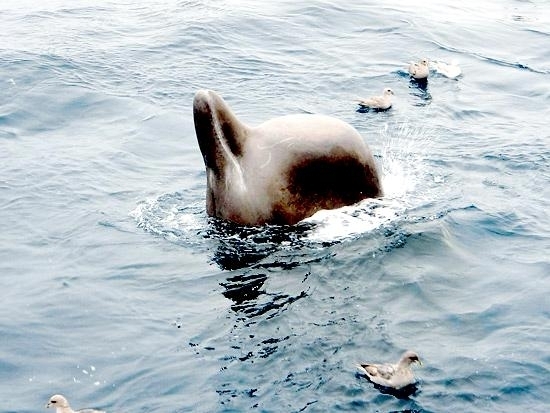 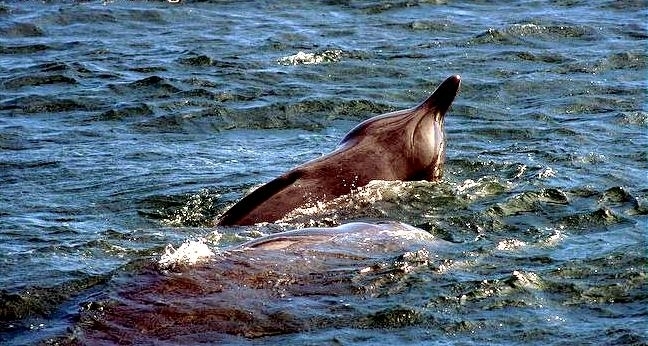 Northern Bottlenose Whales feed on squid, sea cucumbers, herring, cuttlefish, sea stars and other benthic invertebrates. 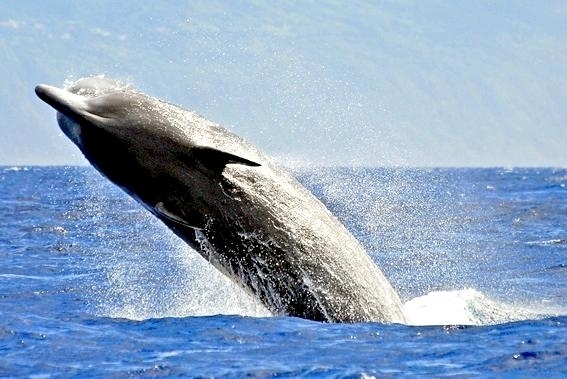 Their feeding behavior is similar to Sperm Whales, in that they make long, deep dives for up to 70 minutes from 80-800 meters on average. 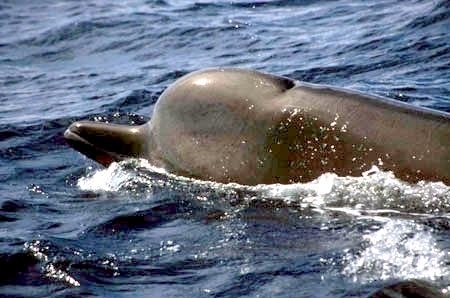 The maximum recorded dive for this species is 1,453 meters. 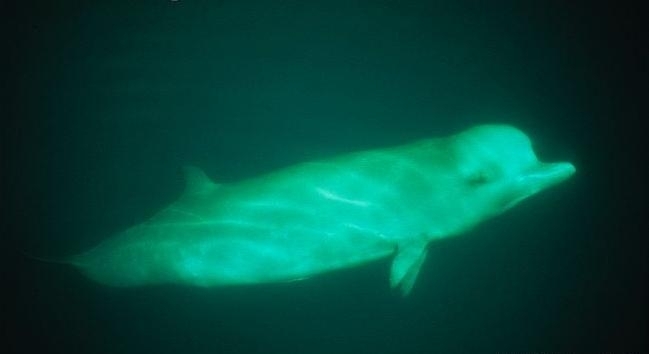 They surface to breathe for about 10 minutes, often in the same location where their dive began. 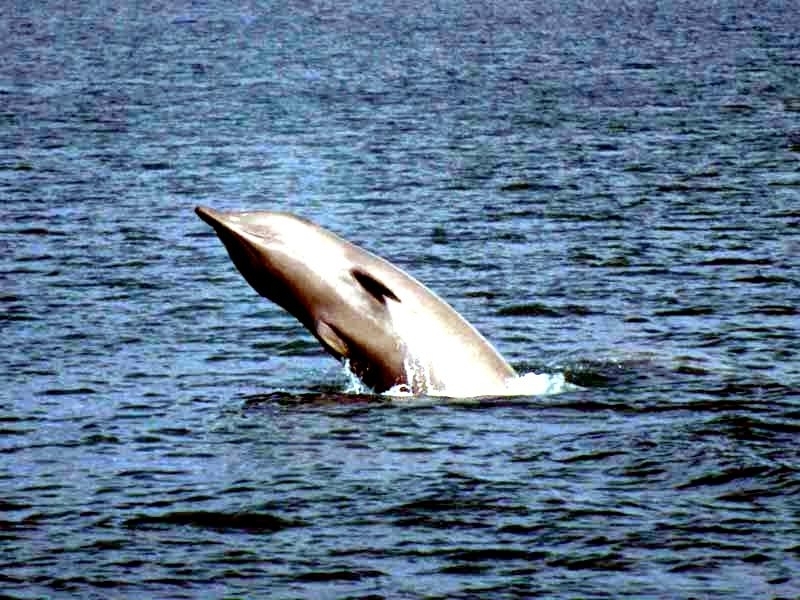 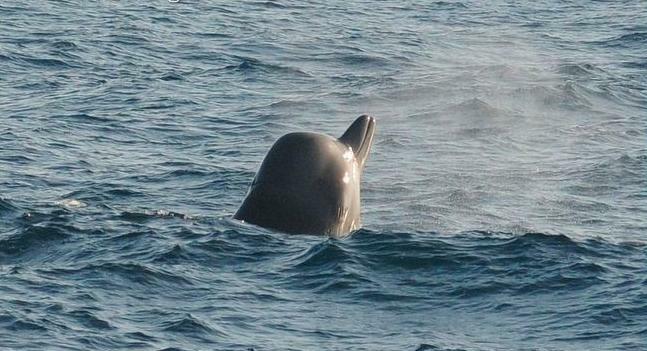 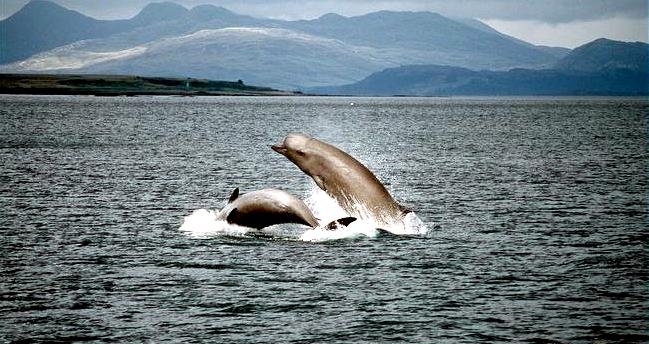 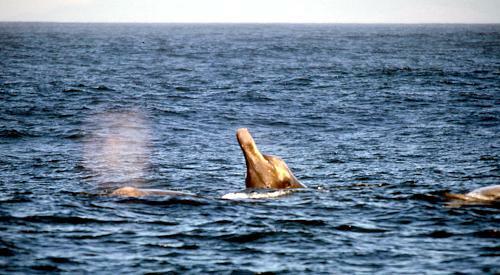 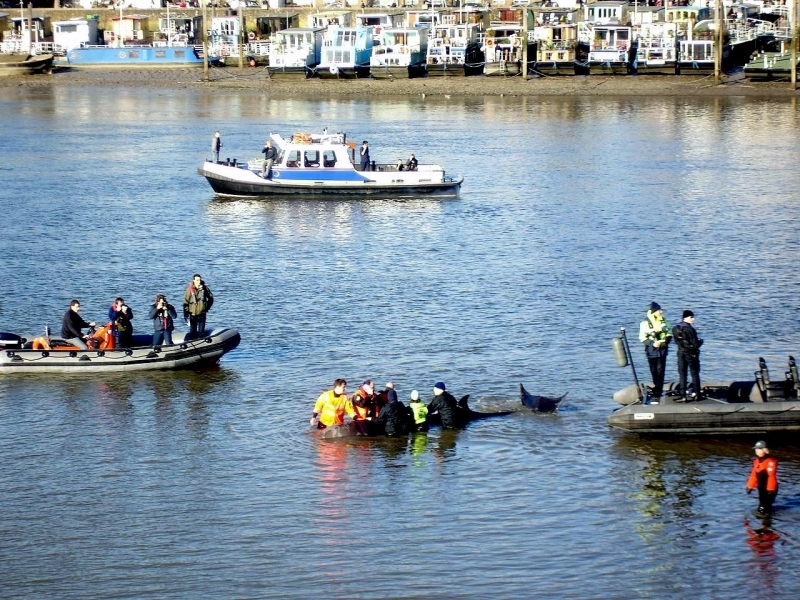 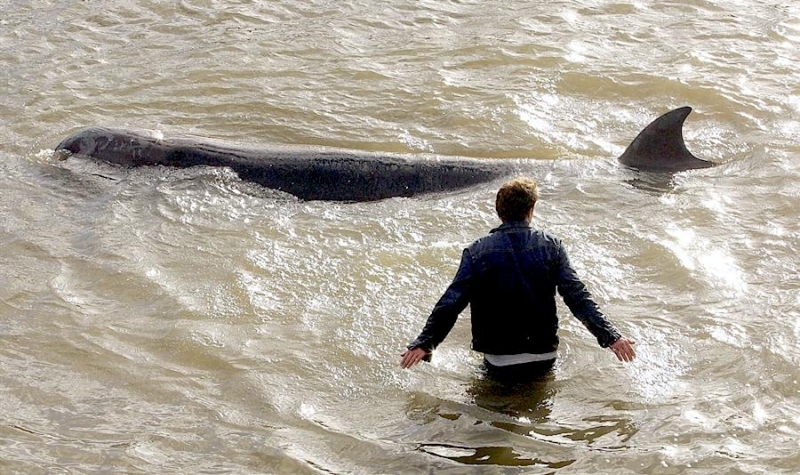 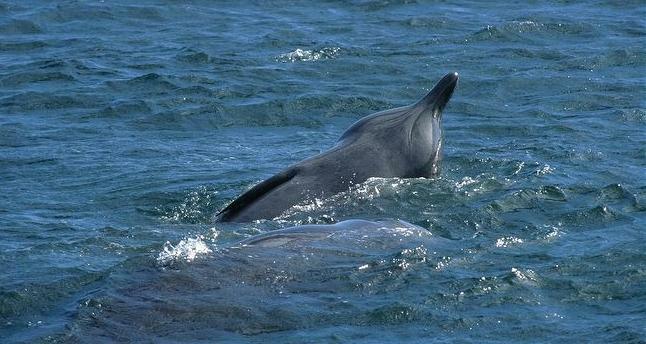 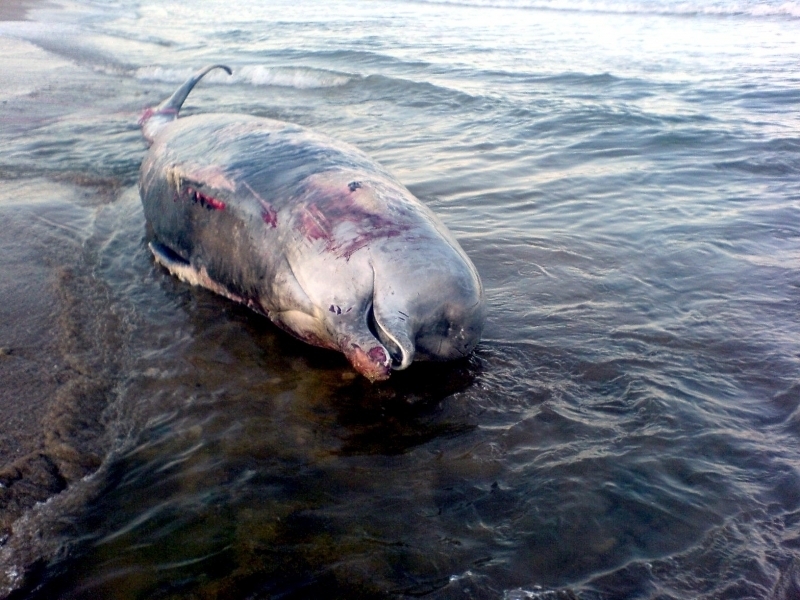 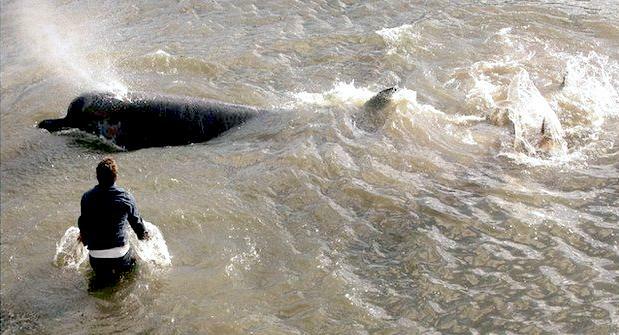 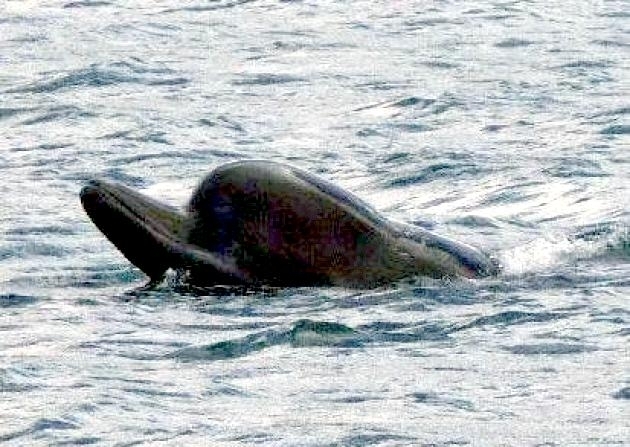 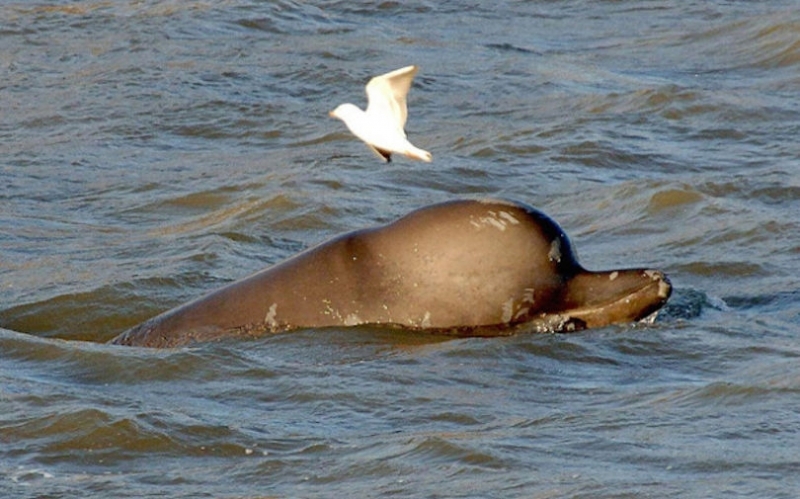 Northern Bottlenose Whales mate during late spring/early summer. 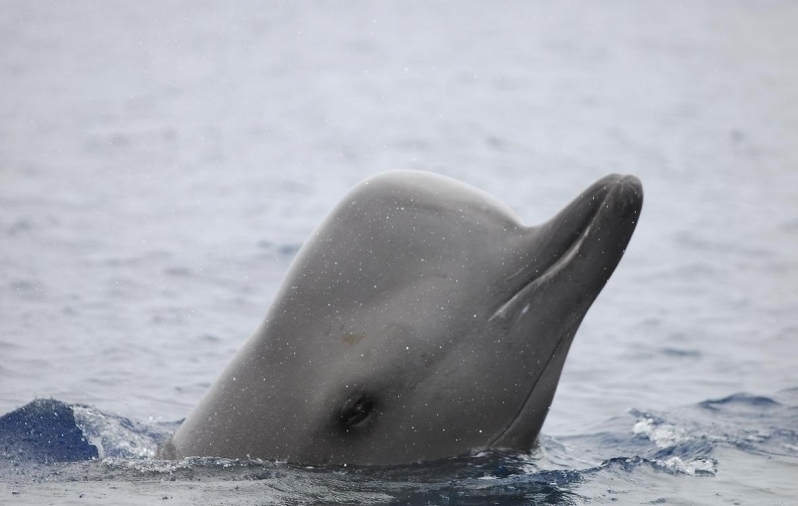 Females reach sexual maturity at 6-7 meters in length or between 8-14 years, males at 7.3-7.6 meters or between 7-9 years. 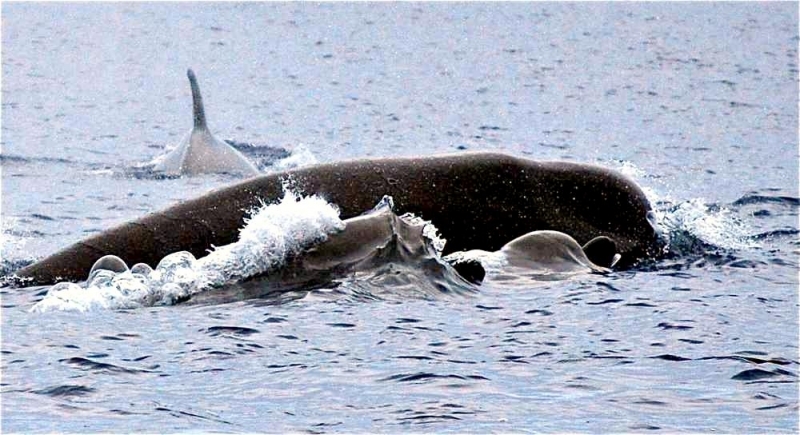 Mating occurs in spring & early summer and calves are born from April to June following a year-long gestation period. 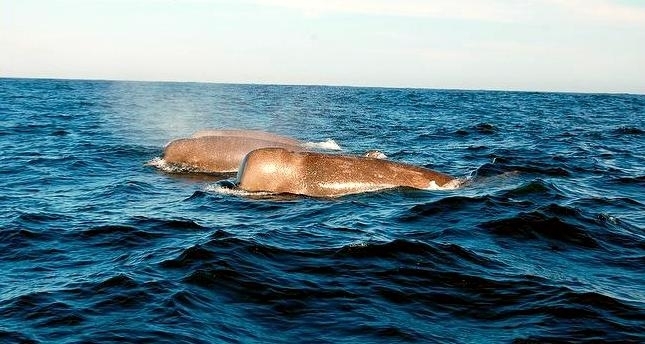 Newborn calves measure about 3.5 meters in length and are usually chocolate-brown in color and nurse for about 1 year.